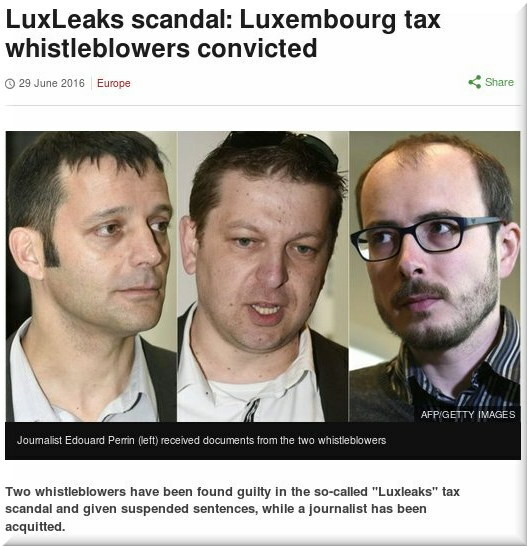 MANAGEMENT of the EPO (Office) continues to control the Organisation (the other EPO), which doesn’t seem to care about abuses of the law, human rights abuses, subversion of justice and so forth. Intuitively enough it means that the Organisation is somewhat complicit in the whole thing (see our previous post on this matter). All delegations find the increase in production figures great, the reduction of sick leave great (despite the fact that none of them can ascertain that the figures from VP1 are not fake ones; they also have no idea how bad currently are sick colleagues “dealt with” to achieve such questionable figures). The DG3 reform does not fly as presented and must be discussed further; Battistelli is happy to have signed a MoU with a union representing 1% of staff and accuses SUEPO of organising a public campaign against him. No revision of the disciplinary sanctions for Ion and Malika, only an insufficient one for Els (he cancelled the reduction of her pension but she remains fired, no one complains). Your central Staff Committee representatives remind the AC delegations of the worrying results regarding quality obtained via the Technologia survey, the (too) high pressure for staff, the undue sanctions on staff reps not revised, the 20 demonstrations organised so far, the strike with 2700 members etc. No comment nor question from any delegation. The ILOAT never organises Oral proceedings. There are no witnesses, no facts finding. The procedure is all but transparent. The file is not public then the Tribunal can easily modify the facts and hide the evidence brought by the staff members. Also, the Tribunal trust the EPO – No need to bring evidence for the EPO. For the Tribunal, the EPO is a fair organisation that never lie. That’s why the Tribunal never put in doubt the explanations given by the EPO. “Very very sad,” one person told us about this, “but that’s exactly the way ILOAT operates. This causes an extremity of misery amongst the parties concerned” (not just judges but also representatives and those whom they represent). Personalausschuß (JA): Ich weiß, daß wir es eilig haben. Aber als Personalvertreter benötigen wir fünf Minuten von Ihrer Zeit. Wir wissen zu schätzen, daß das Dokument umfangreich ist. Wir müssen auch die Trends betrachten und anschauen, was nicht im Bericht steht. Es gibt 77 weniger Bedienstete. 15 Mitglieder weniger in den Beschwerdekammern ist ein enormer Rückgang. In den Geschlechterunterschieden können Sie feststellen, daß 1/3 Frauen sind. Wenn Sie aber die höchsten Besoldungsgruppen anschauen, sehen Sie, daß nur eine Frau von sechs Personen bei den Beförderungen dabei ist. Eine Frau von zehn Personen wird in die höchste Stellengruppe gesetzt. Dies ist im 21. Jahrhundert nicht in Ordnung. Es gibt 20 % mehr Bewerbungen. Einstellungen sind um 34 % gesunken. Wir haben niemand aus Slowenien, Tschechien, Norwegen, der Schweiz etc. niemanden mehr eingestellt. Die Anzahl der britischen Kollegen sinkt dramatisch. 100 Kollegen sind 2014 in Rente gegangen. 2015 waren des doppelt so viele. Jetzt ist das Durchschnittspensionsalter bei 61,1 im Gegensatz zu 63 Jahren vorher. Bei den internen Beschwerden wurde nur 1 % zugelassen. Es ist kein Wunder, daß die VGIAO-Beschwerden gestiegen sind. Aspekte der sozialen Situation sind gar nicht im Bericht. Wir verweisen dafür auf den Technologia-Bericht. Das Vertrauen in den Präsidenten ist 0 %, 11 % des Personals als psychische Risiken. Die soziale Situation wird in den Zeitungen immer wieder erwähnt. In 2015 wurden Elisabeth Hardon und Ion Brumme entlassen. Das Sekretariat wurde gekürzt. Trotz Ihrer Resolution hat Herr Battistelli Disziplinarverfahren gegen Herrn Prunier eingeleitet. Ein weiterer Personalvertreter aus Berlin wurde entlassen. Wann hört dies endlich auf. Die Resolution aus März war schon ein Schritt in die richtige Richtung. Wir fordern den Rat auf, diese Entschließung auch umzusetzen. “Guess what,” said our source, “neither a single comment nor a single question from a single delegation.” They must be afraid of the crazed Battistelli, who has already bullied some of them. I know that we are in a hurry. But as a personal representative we need five minutes from your time. We appreciate that the document is extensive. We need to look and see and not in the report, the trends. There are 77 fewer staff. 15 members less in the boards is a huge decline. In the gender differences you may notice that 1/3 women. But if you look at the top grades, you will see that only one woman in six people in the transport is. One woman out of ten is placed in the highest position group. This is not in order in the 21st century. There are 20% more applications. Settings have fallen by 34%. We have no one from Slovenia, Czech Republic, Norway, Switzerland, etc. set anyone. The number of British colleagues drops dramatically. 100 colleagues have retired, 2014. 2015 were of twice as many. Now, the average retirement age is 61.1, as opposed to 63 years ago. The internal complaints only 1% was approved. It is no wonder that the VGIAO complaints have risen. Aspects of the social situation are not in the report. We refer it to the Technologia report. Confidence in the president is 0%, 11% of the staff as a mental risks. The social situation is repeatedly mentioned in the newspapers. In 2015 Elizabeth Hardon and ion Brumme were dismissed. The Secretariat has been shortened. Despite your Resolution Mr Battistelli has initiated disciplinary proceedings against Mr. Prunier. Another staff representatives from Berlin was dismissed. When this finally stop. The resolution of March was a step in the right direction. We urge the Council to also implement this resolution. Updates from Croatia occasionally reach us from various sources. The Vice-President that Battistelli uses for intimidation of staff is still facing many criminal charges and also civil lawsuits in Croatia — a fact that apparently is unspeakable. To inform delegates regarding such matters is not OK; when a woman from Croatia wrote to Croatian politicians about it she got sued for defamation but won the case repeatedly, lending legitimacy to her claims and leaving the accuser rather bashful. What triggered many of today’s abuses against staff representatives at the EPO is this story (directly and indirectly), so it cannot be ignored. Željko Topić should be discussed widely at all levels of the EPO. As usual, as the EPO lies both to staff and to journalists, lies about Željko Topić come from EPO management, i.e. Team Battistelli. They have zero credibility on the subject. Rather than get rid of this liability Battistelli is believed to be trying to keep it around even longer. LAST night’s post about the UPC (second that day about the UPC and tenth among eleven about the EPO) showed that even proponents of the UPC were more or less giving up. It’s just too much of a mess right now, as they too admit. This morning we found several dozens of so-called ‘analyses’ of ‘Brexit’ [1, 2, 3, 4, 5, 6, 7, 8, 9, 10, 11, 12, 13, 14, 15, 16, 17, 18, 19, 20, 21, 22, 23, 24, 25, 26, 27, 28]. These came from law firms for the most part and they helped highlight the fact that ‘IP’ firms are truly in a panic over ‘Brexit’. Also see the many comments in IP Kat these days. Total panic. It’s not just them who are in panic (see this for example) and the question of patents isn’t even on top of the list of worries (nationally and EU-wide). The only upside here, as far as Techrights is concerned, is the demise of the UPC, which threatened to bring software patents to Europe (among other things). They must be alluding to proposals like that which came from Prof. Tilmann. Update: MIP now has a report about this too. 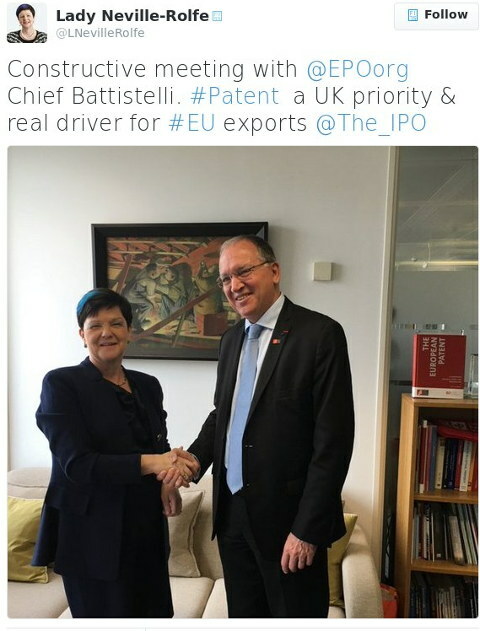 It says (behind paywall): “Baroness Neville-Rolfe has said that the UK’s position on the UPC and Unitary Patent system will not be known anytime soon. The Minister has also invited UK stakeholders to be involved in the discussions which will lead to a decision” (in other words, she seemingly urges the conspiracy of lawyers to just carry on).